1 Savino P., Tonazzini A. Digital restoration of ancient color manuscripts from geometrically misaligned recto-verso pairs. In: Journal of Cultural Heritage, vol. 19 (May-June 2016) pp. 511 - 521. Elsevier [Online First 15 December 2015], 2016. 2 Tonazzini A., Savino P., Salerno E. A non-stationary density model to separate overlapped texts in degraded documents. In: Signal Image and Video Processing, vol. 9 (Suppl. 1) pp. 155 - 164. Springer, 2015. 3 Amato G., Gennaro C., Savino P. MI-File: using inverted files for scalable approximate similarity search. In: Multimedia Tools and Applications, vol. 71 (3) pp. 1333 - 1362. Springer, 2014. 4 Falchi F., Gennaro C., Savino P., Stanchev P. Efficient video-stream filtering. In: Ieee Multimedia, vol. 15 (1) pp. 52 - 62. IEEE Computer Society, 2008. 5 Savino P., Peters C. ECHO: a digital library for historical film archives. In: International Journal on Digital Libraries, vol. 4 (1) pp. 3 - 7. Springer, 2004. 6 Amato G., Rabitti F., Savino P., Zezula P. Region Proximity in Metric Spaces and its use for Approximate Similarity Search. In: Acm Transactions on Information Systems, vol. 21 (2) pp. 192 - 227. ACM, 2003. 7 Dohnal V., Gennaro C., Savino P., Zezula P. D-Index: Distance Searching Index for Metric Data Sets, Multimedia Tools and Applications. In: Multimedia Tools and Applications, vol. 21 (1) pp. 9 - 33. Kluwer Academic Publishers, 2003. 2 Salerno E., Savino P., Tonazzini A. Low-level document image analysis and description: from appearance to structure. In: Learning Structure and Schemas from Documents. pp. 343 - 367. Marenglen Biba, Fatos Xhafa (eds.). (Studies in Computational Intelligence, vol. 375). Heidelberg: Springer Verlag, 2011. 3 Amato G., Savino P., Magionami V. Image indexing and retrieval using visual terms and text-like weighting. In: Digital Libraries: Research and Development. vol. 4877 pp. 11 - 21. Costantino Thanos, Francesca Borri and Leonardo Candela (eds.). (Lecture Notes in Computer Science, vol. 4877). Pisa: Springer, 2007. 4 Amato G., Gennaro C., Savino P., Rabitti F. MILOS: un sistema di content management per lo sviluppo di biblioteche digitali. In: L'informazione multimediale dal presente al futuro: le prospettive del multimedia information retrieval. pp. 146 - 157. Italy: AIB, 2006. 5 Amato G., Gennaro C., Savino P. Audio/video digital libraries: the ECHO experience. In: MultiMedia Information Retrieval: metodologie ed esperienze. pp. 170 - 188. Roberto Raieli, Perla Innocenti (eds.). Roma: Aida, 2004. 6 Gennaro C., Rabitti F., Savino P. The Use of XML in a Video Digital Library. In: Intelligent Search on XML Data, Applications, Languages, Models, Implementations, and Benchmarks. vol. 2818 pp. 19 - 33. Henk M. Blanken, Torsten Grabs, Hans-J�rg Schek, Gerhard Weikum (eds.). (Lecture Notes in Computer Science, vol. 2818). Twente, Z�rich, and Saarbr�cken: Springer, 2003. 1 Savino P., Bedini L., Tonazzini A. Joint non-rigid registration and restoration of recto-verso ancient manuscripts. In: IWCIM 2016 - International Workshop on Computational Intelligence for Multimedia Understanding (Reggio Calabria, Italy, 27-28 October 2016). Proceedings, article n. 7801180. IEEE, 2016. 2 Bedini L., Savino P., Tonazzini A. Removing achromatic reflections from color images with application to artwork imaging. In: ISPA 2015 - 9th International Symposium on Image and Signal Processing and Analysis (Zagreb, Croatia, 7-9 September 2015). Proceedings, pp. 126 - 130. S. Loncaric, D. Lerski, H. Eskola, R. Bregovi (eds.). IEEE, 2015. 3 Debole F., Savino P., Tonazzini A. Building a digital library containing digital elaborations of ancient documents. In: ICDIM 2015 - Tenth International Conference on Digital Information Management (Jeju Island, South Korea, 21-23 October 2015). Proceedings, pp. 124 - 131. IEEE, 2015. 4 Debole F., Gennaro C., Savino P. Enriching image feature description supporting effective content-based retrieval and annotation. In: VSMM 2014 - International Conference on Virtual Systems & Multimedia (Hong Kong, 8-12 December 2014). Proceedings, pp. 80 - 87. IEEE, 2014. 5 Tonazzini A., Savino P., Salerno E. Non-stationary modeling for the separation of overlapped texts in documents. In: SIU 2014 - 2014 22nd Signal Processing and Communications Applications Conference (Trabzon, Turkey, 23-25 April 2014). Proceedings, pp. 2314 - 2318. IEEE, 2014. 6 Tonazzini A., Salerno E., Savino P., Bedini L. Removal of non-stationary see-through interferences from recto-verso documents. In: WIPRA'2013 - International Workshop on Intelligent Pattern Recognition and Applications (New York, 15 luglio 2013). Proceedings, pp. 151 - 158. Petra Perner (ed.). ibai-publishing, 2013. 7 Debole F., Salerno E., Savino P., Tonazzini A. Editing metadata to support the content analysis, storage and retrieval of ancient documents. In: 5th International Congress on "Science and Technology for the Safeguard of Cultural Heritage in the Mediterranean Basin" (Istanbul, Turkey, 22-25 November 2011). Proceedings, vol. III (2nd Part) pp. 180 - 185. Valmar, 2012. 8 Salerno E., Tonazzini A., Savino P., Martinelli F., Debole F., Bruno F., Bianco G., Console E. AMMIRA: an easy and effective system to manage digital images of artworks. In: 5th International Congress on "Science and Technology for the Safeguard of Cultural Heritage in the Mediterranean Basin" (Istanbul, Turkey, 22-25 November 2011). Proceedings, vol. Vol. III (2nd Part) pp. 237 - 243. Valmar, 2012. 9 Amato G., Bolettieri P., Falchi F., Rabitti F., Savino P. Indexing support vector machines for efficient top-k classification. In: MMEDIA 2011 - Third International Conferences on Advances in Multimedia (Budapest, Hungary, 17-22 Aprile 2011). Proceedings, pp. 56 - 61. XPS (Xpert Publishing Services), 2011. 10 Gennaro C., Amato G., Bolettieri P., Savino P. An approach to content-based image retrieval based on the Lucene search engine library (Extended Abstract). In: SEBD 2011 - Nineteenth Italian Symposium on Advanced Database Systems (Maratea, Italy, 26-29 June 2011). Atti, pp. 333 - 340. Giansalvatore Mecca, Sergio Greco (eds.). Universit� della Basilicata, Dipartimento di Matematica e Informatica, 2011. 11 Bianco G., Bruno F., Tonazzini A., Salerno E., Savino P., Zitova B., Sroubek F., Console E. A framework for virtual restoration of ancient documents by combination of multispectral and 3D imaging. In: EG-IT 2010 - Eurographics Italian Chapter Conference "Computer graphics meets computer vision" (Genova, 18-19 November 2010). Atti, article n. 001-007. Eurographics Italian Chapter, 2010. 12 Gennaro C., Amato G., Bolettieri P., Savino P. An approach to content-based image retrieval based on the Lucene search engine library. In: ECDL 2010 - Research and Advanced Technology for Digital Libraries. 14th European Conference (Glasgow (UK), 6-10 September 2010). Proceedings, pp. 55 - 66. Mounia Lalmas, Joemon Jose, Andreas Rauber, Fabrizio Sebastiani, Ingo Frommholz (eds.). (Lecture Notes in Computer Science, vol. 6273). Springer, 2010. 13 Amato G., Debole F., Peters C., Savino P. MultiMatch - Multilingual / Multimedia Access to Cultural Heritage. In: IRCDL 2009 - 5th Italian Research Conference on Digital Libraries (Padova, Italy, 29-30 January 2009). Atti, pp. 162 - 165. M. Agosti, F. Esposito, C. Thanos (eds.). DELOS, 2009. 14 Amato G., Debole F., Peters C., Savino P. MultiMatch: Multiple Access to Cultural Heritage. In: VLDL 2009 - Second Workshop on Very Large Digital Libraries (Corfu, Greece, 2 October 2009). Proceedings, pp. 9 - 16. Yannis Ioannidis, Paolo Manghi, Pasquale Pagano (eds.). DELOS, 2009. 15 Debole F., Savino P., Eckes G. Searching and browsing film archives. The European Film Gateway Approach. In: Cultural Heritage Cairo 2009 - 4th International Congress on Science and Technology on the Safeguard of Cultural Heritage in the Mediterranean Basin (Cairo, Egypt, 6-8 December 2009). Proceedings, pp. 359 - 364. Fondazione Roma Mediterraneo, 2009. 16 Amato G., Savino P. Approximate similarity search from another perspective. In: SEBD 2008 - Sistemi Evoluti per Basi di Dati (Mondello (PA), Italy, 22-25 June 2008). Atti, pp. 247 - 254. SEBD, 2008. 17 Amato G., Savino P. Approximate similarity search in metric spaces using inverted files. In: INFOSCALE - Third Interational ICST Conference on Scalable Information Systems (Vico Equense, 4-6 June 2008). Proceedings, ACM, 2008. 18 Amato G., Debole F., Peters C., Savino P. The MultiMatch prototype: multilingual/multimedia search for cultural heritage objects. In: ECDL 2008 - Research and Advanced Technology for Digital Libraries. 12th European Conference on Digital Libraries (Aarhus, Denmark, 14-19 September 2008). Proceedings, pp. 385 - 387. (Lecture Notes in Computer Science, vol. 5173). Springer, 2008. 19 Amato G., Savino P., Magionami V. Use of weighted visual terms for machine learning techniques for image content recognition relying on MPEG-7 visual descriptors. In: WMS 2008 - 2nd International Workshop on the Many Faces of Multimedia Semantics, in Conjunction with ACM Multimedia 2008 (Vancouver, British Columbia, Canada, 27 October - 1 November 2008). Proceedings, pp. 60 - 63. ACM, 2008. 20 Amato G., Bolettieri P., Debole F., Falchi F., Gennaro C., Rabitti F., Savino P. A Tutorial on the MILOS Multimedia Content Management System. In: Russian Conference on Digital Libaries. RCDL 2007 (Perseslavl (Russia), 15-18 October 2007). Proceedings, pp. 16 - 24. 2007. 21 Amato G., Magionami V., Savino P. Image content classification by using visual terms. In: Second international DELOS Conference (Pisa, Italy, 5-7 December 2007). Proceedings, DELOS, 2007. 22 Amato G., Cigarran R. J., Gonzalo J., Peters C., Savino P. MultiMatch - Multilingual/Multimedia Access to Cultural Heritage. In: Third Italian Research Conference on Digital Library Systems (Padova, Italy, 29-30 January 2007). Atti, pp. 86 - 94. DELOS A Network of Excellence on Digital Libraries, 2007. 23 Amato G., Magionami V., Savino P. Region Based Image Similarity Search Inspired by Text Search. In: IRCDL - Third Italian Research Conference on Digital Library Systems (Padova, 29-30, January 2007). Atti, pp. 78 - 85. DELOS A Network of Excellence on Digital Libraries, 2007. 24 Amato G., Magionami V., Savino P. Region-based image indexing and retrieval inspired by text search. In: International Workshop on Visual and Multimedia Digital Libraries. In conjunction to ICIAP 2007 (Modena, 10-14 September 2007). Proceedings, pp. 101 - 106. IEEE Computer Society, 2007. 25 Amato G., Bolettieri P., Debole F., Falchi F., Rabitti F., Savino P. Using MILOS to build a multimedia digital library application: the photobook experience. In: Research and Advanced Technology for Digital Libraries. 10th European Conference, ECDL 2006 (Alicante, September 17-2 2006). Proceedings, vol. 4172 pp. 379 - 390. (Lecture Notes in Computer Science, vol. 4172). Springer Berlin / Heidelberg, 2006. 26 Amato G., Bolettieri P., Debole F., Falchi F., Rabitti F., Savino P. Using MILOS to build an on-line photo album: the PhotoBook. In: Italian Symposium on Advanced Database Systems. SEBD 2006 (Portonovo (Ancona), June 18-21, 2006). Atti, pp. 233 - 240. publisher information no available, 2006. 27 Amato G., Gennaro C., Savino P., Rabitti F. MILOS: a multimedia content management system for multimedia digital library applications. In: Italian Research Conference on Digital Library Management Systems (Padova, Italy, January 28). Atti, pp. 29 - 32. Thanos, Costantino and Agosti, Maristella (eds.). 2005. 28 Amato G., Debole F., Rabitti F., Savino P., Zezula P. A Signature-Based Approach for Efficient Relationship Search on XML Data Collections. In: Database and XML Technologies, Second International XML Database Symposium, XSym 2004 (Toronto, Canada, August 29-30, 2004). Proceedings, pp. 82 - 96. Zohra Bellahsene, Tova Milo, Michael Rys, Dan Suciu, Rainer Unland (eds.). (Lecture Notes in Computer Science, vol. 3186). Springer, 2004. 29 Amato G., Gennaro C., Rabitti F., Savino P. Milos: A Multimedia Content Management System. In: Twelfth Italian Symposium on Advanced Database Systems, SEBD 2004 (S. Margherita di Pula, Cagliari, Italy, June 21-23, 2004). Atti, pp. 342 - 349. Maristella Agosti, Nicoletta Dess�, Fabio A. Schreiber (eds.). 2004. 30 Amato G., Gennaro C., Rabitti F., Savino P. Milos: a Multimedia Content Management System for Digital Library Applications. In: ECDL 2004 - Research and Advanced Technology for Digital Libraries, 8th European Conference (University of Bah (UK), 12-17 September 2004). Proceedings, pp. 14 - 25. Rachel Heery, Liz Lyon (eds.). (Lecture Notes in Computer Science, vol. 3232). Springer Verlag, 2004. 31 Dohnal V., Gennaro C., Savino P., Zezula P. Access Structures for Advanced Similarity Search in Metric Spaces. In: Symposium on Advanced Database Systems (Cetraro (CS), Italy, June 24-27). Atti, pp. 483 - 494. Sergio Flesca, Sergio Greco, Domenico Sacc�, Ester Zumpano (eds.). Rubettino, 2003. 32 Dohnal V., Gennaro C., Savino P., Zezula P. Similarity Join in Metric Spaces. In: European Conference on IR Research (Pisa, Italy, April 2003). Proceedings, pp. 452 - 467. 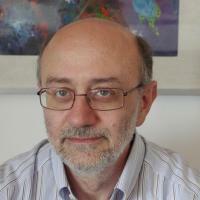 Fabrizio Sebastiani (ed.). (Lecture Notes in Computer Science, vol. 2633). Springer, 2003. 33 Amato G., Gennaro C., Savino P. Indexing and retrieving documentary films: managing metadata in the ECHO system. In: Multimedia Information Retrieval Workshop (in conjunction with ACM Multimedia 2002) (Juan-les-pins, France, 6 December 2002). Proceedings, ACM, 2002. 1 Artini M., Bardi A., Biagini F., Debole F., La Bruzzo S., Manghi P., Mikulic M., Savino P., Zoppi F. Data Interoperability and Curation: the European Film Gateway Experience. IRCDL 2012. Preprint, 2012. 2 Manghi P., Savino P., Zoppi F. EFG - Adaptation of the DRIVER Software Components (D-NET). European Film Gateway-EFG. Deliverable D 2.3, 2010. 3 Amato G., Bolettieri P., Savino P. Efficient approximate classification with support vector machines and index structures in the input space. Technique for efficiently and effectively executing top-k classification tasks on very large datasets. Technical report, 2009. 4 Manghi P., Savino P., Eckes G. EFG - Functional analysis of DRIVER customisation. The European Film Gateway (ECP 517006 - 2007). Deliverable D4.1, 2009. 5 Nardi A., Savino P., Peters C. MultiMATCH - Thirty month progress report. Multilingual/Multimedia access to cultural heritage. Deliverable 9.3.5, 2008. 6 Amato G., Gennaro C., Savino P. D-Lib - Audio/Video Digital Library. Digital Library Competence Center. Deliverable D1.1.1, 2004. 7 Falchi F., Gennaro C., Savino P. Efficient video filtering of MPEG-7 streams. Technical report, 2004. 8 Amato G., Gennaro C., Savino P. D-Lib - Audio/Video Digital Library Report. Digital Library Competence Center. Deliverable D5.1.1, 2003. 9 Savino P., Peters C. ECHO: a Digital Library for Historical Film Archives. The document has been submitted to Journal Journal of Digital Libraries, Springer, Technical report, 2003. 1 Debole F., Savino P., Caruso E. Metadata Editor. [Software] , 22 June 2010. 1 Console E., Tonazzini A., Salerno E., Savino P., Bruno F. Integrating optical imaging and digital processing for nondestructive diagnosis of artifacts. In: TECHNART 2015 - Non-destructive and microanalytical techniques in art and cultural heritage (Catania, Italy, 27-30 April 2015). Abstract, article n. P1-168. INFN, 2015. 2 Debole F., Salerno E., Savino P., Tonazzini A. Editing metadata to support the acquisition, content analysis, storage and retrieval of ancient documents. In: Cultural Heritage Istanbul 2011 - 5th International Congress on "Science and Technology for the Safeguard of Cultural Heritage in the Mediterranean Basin" (Istanbul, 22-25 November 2011). Abstract, pp. 213 - 213. Valmar, 2011. 3 Salerno E., Tonazzini A., Savino P., Martinelli F., Debole F., Bruno F., Bianco G., Console E. AMMIRA: an easy and effective system to manage digital images of artworks. In: Cultural Heritage Istanbul 2011 - 5th International Congress on "Science and Technology for the Safeguard of Cultural heritage in the Mediterranean Basin" (Istanbul, 22-25 November 2011). Abstract, Angelo Guarino (ed.). Valmar, 2011. 4 Amato G., Cigarran R. J., Gonzalo J., Peters C., Savino P. MultiMatch - Multilingual/Multimedia Access to Cultural Heritage. In: 11th European Conference on Digital Libraries - ECDL 2007 (Budapest, Hungary, September 2007). Abstract, pp. 505 - 508. (Lecture Notes in Computer Science, vol. 4675). Springer, 2007. 5 Savino P., Amato G., Peters C. MULTIMATCH - Α Vertical Search Engine for European Cultural Heritage. In: European Information Space: Infrastructures, Services and Applications Workshop (Rome, Italy, 29-30 October 2007). 6 Amato G., Gennaro C., Rabitti F., Savino P. Functionalities of a content management system specialized for digital library applications. In: International Workshop of the EU Network of Excellence DELOS on Audio-Visual Content and Information Visualization in Digital Libraries (Avivdilib'05) (Cortona (Italy), May 2005). 7 Amato G., Falchi F., Gennaro C., Rabitti F., Savino P., Stanchev P. Improving image similarity search effectiveness in a multimedia content management system. In: MIS International Workshop on Multimedia Information Systems (Washington DC, 25-27 August 2004). 8 Batko M., Gennaro C., Savino P., Zezula P. Scalable Similarity Search in Metric Spaces. In: DELOS Workshop on Digital Library Architectures: Peer-to-Peer, Grid, and Service-Orientation (S. Margherita di Pula (Cagliari), Italy, 24-25 June 2004). 9 Amato G., Gennaro C., Savino P. Audio/video digital libraries: designing, searching for documents, and generating Metadata. In: JCDL 2003 - Joint Conference on Digital Libraries 2003 (Houston, USA, 27-31 May 2003).